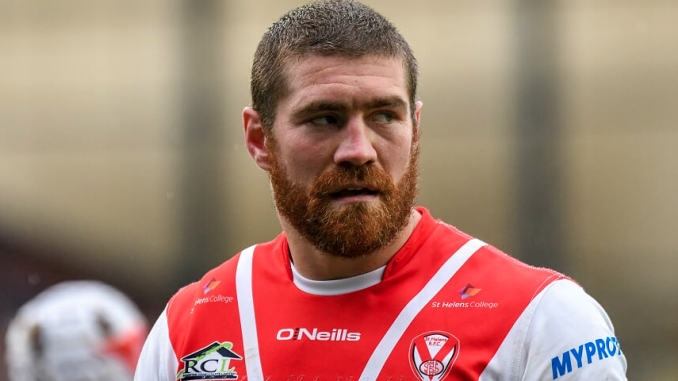 Wakefield set sights on wounded league leaders St Helens. 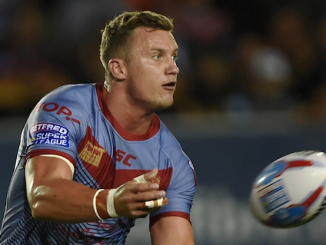 Wakefield have enjoyed a very positive Super League season so far and have every belief in themselves – no matter the opponents. This has been exemplified by a series of impressive results, two of which came against Hull FC in as many weeks. The scorelines reading 72-10 and 31-13 respectively. 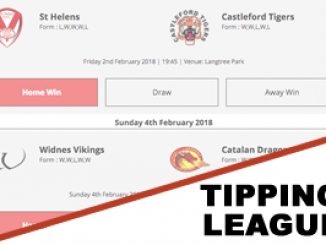 St Helens have suffered two consecutive defeats for the first time in 2018 – the losses being at the hands of Catalans Dragons in the Challenge Cup Semi-Final and Huddersfield Giants in their Super 8s opener. Will Wakefield avenge their 34-30 loss to the Saints? 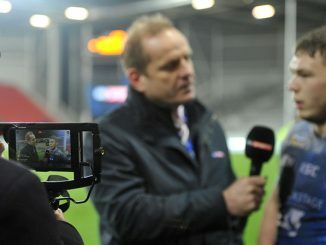 Can St Helens get their season back on track? Live from Canada – Toronto Wolfpack host Hull KR in qualifier clash. The Canadian based Championship team kicked off their qualifying campaign with a hard fought 14-0 win over Halifax RLFC. 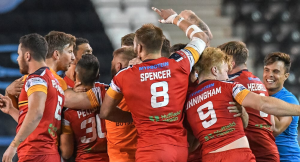 With them being the favourites of the championship sides to achieve Super League status, all eyes are on how they will fair against their first Super League opponents. Hull KR’s form has taken a dip of late – the most recent defeat being in their qualifiers opener against Salford. Can the Wolfpack live up to their expectations? 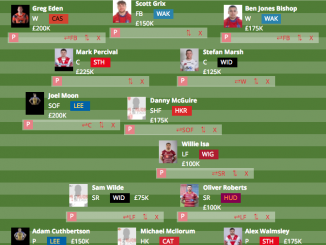 Will Hull KR turn their fortunes around? Tune in on Saturday evening to find out! London v Leeds – Another upset on the cards? 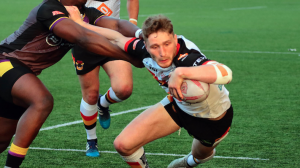 London Broncos kicked off their qualifying campaign against the ever struggling Widnes Vikings last week. Yet despite the Vikings form, many tipped them to win the contest. The broncos surprised many in what was a brilliant game – the final score reading 21-20 after a late Jarrod Sammut drop-goal. Leeds want to continue their winning form after they defeated a confident Toulouse outfit. Can David defeat Goliath again? Will Leeds stamp their champion authority? Pryce’s Workington Town take on top of the table Bradford Bulls! Leon Pryce’s Workington side have enjoyed a positive year in the Betfred League 1 – which has seen them reach third in the table. The only teams above them are his hometown club Bradford and the inspiring York City Knights. Bradford are firm favourites and will look to keep a gap between themselves and York – who trail them by mere points difference. 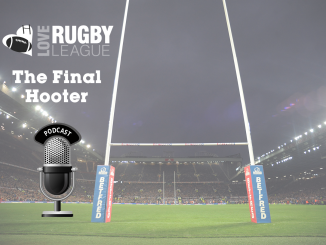 Will another upset be on the cards in the world of Rugby League? Can Bradford keep the chasing pack at arms length? 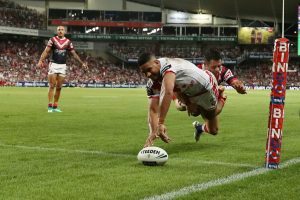 St George Illawarra Dragons v West Tigers – Will the Tigers slay the Dragons? The Dragons enjoyed a positive start to their NRL season – which saw them sitting high in the table. However, recent results have been less than ideal and they find themselves dropping down the ladder. West Tigers sit just outside the Play-Off positions and will smell blood going into this fixture. Will the result be a repeat of the last? Can the Dragons flip their fortunes?